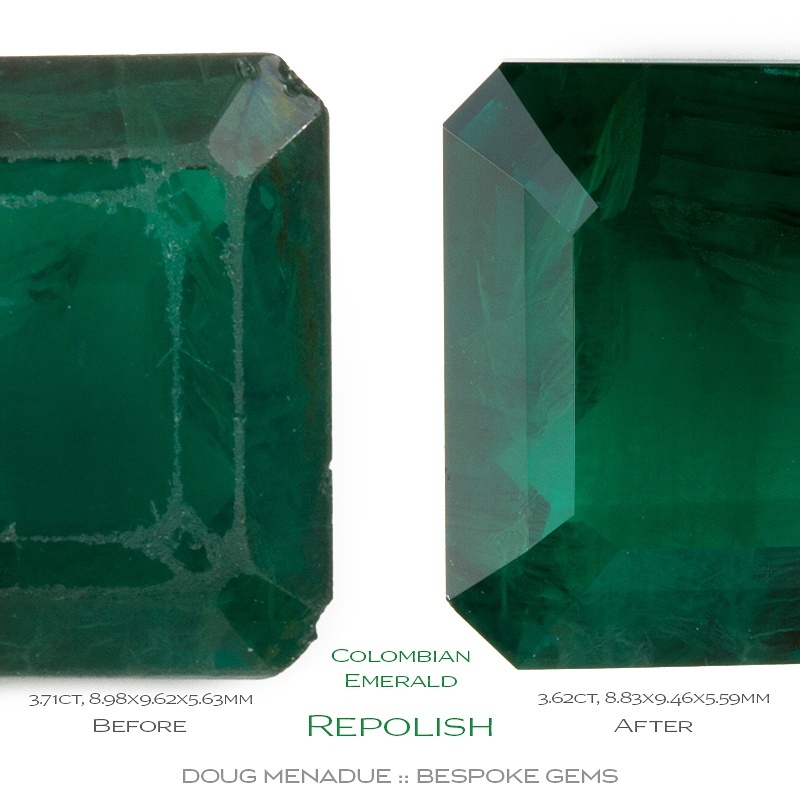 Welcome to Bespoke Gems and the wonderful world of coloured gemstones. 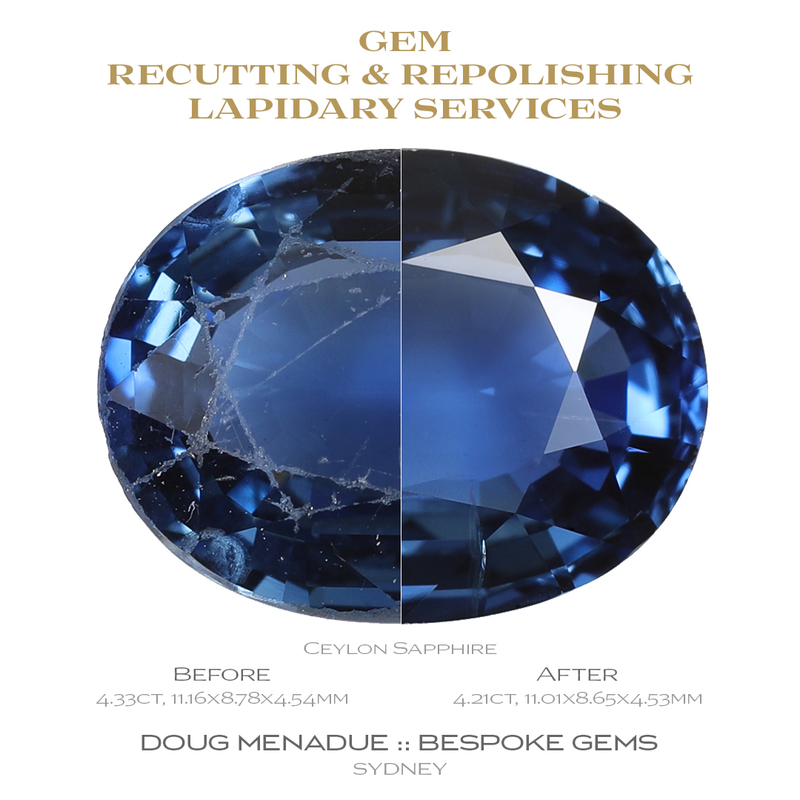 My name is Doug Menadue, artisan gemcutter based in Sydney, Australia. What I offer you is a very personalised gem experience. I have a fine selection of beautiful high quality, precision cut gemstones that I have personally hand faceted as well as some of the finest gems that I have sourced from Australia and around the world. 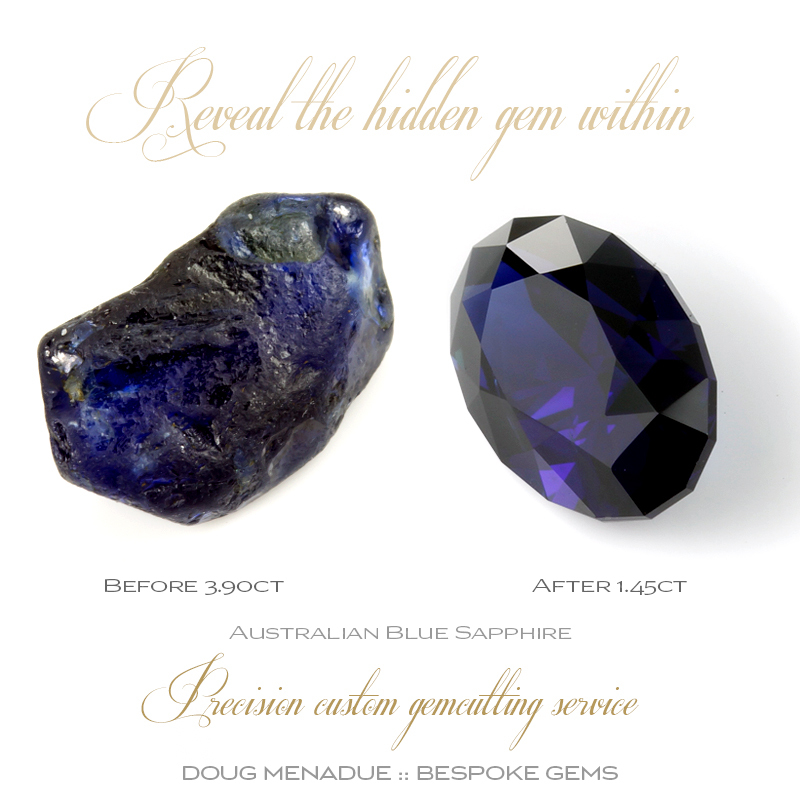 I also have a fine selection of Australian Sapphires available. Finding that right gemstone can be a very hard and time consuming and confusing search. This is where I can help. 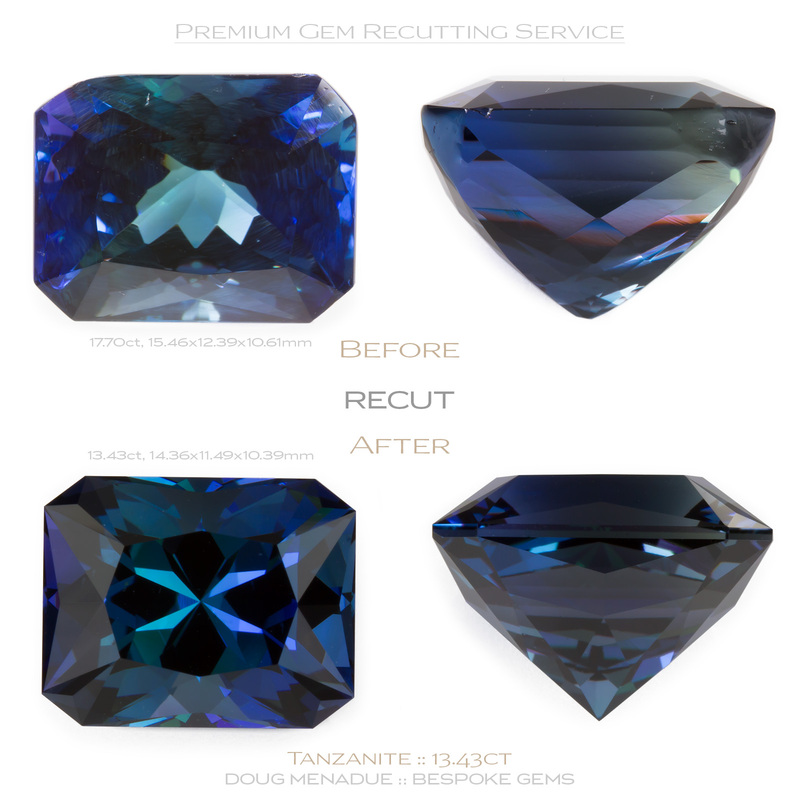 If you are looking for something special I can assist with the selection of the right gemstone and can offer advice on what to look for when selecting a gemstone. 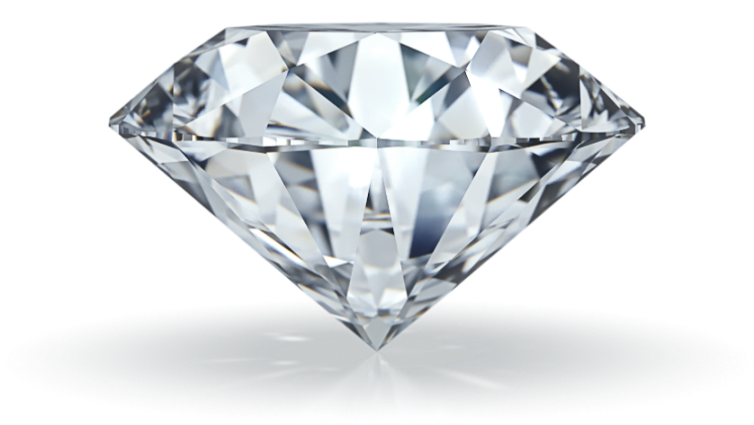 Being a professional gemcutter, I have an eye for a beautiful gem and I know just what it takes to make a gem truly special and I will offer you nothing less then the very best. I also have a large selection of rough gemstones and designs that you can select from and have cut to your specifications. 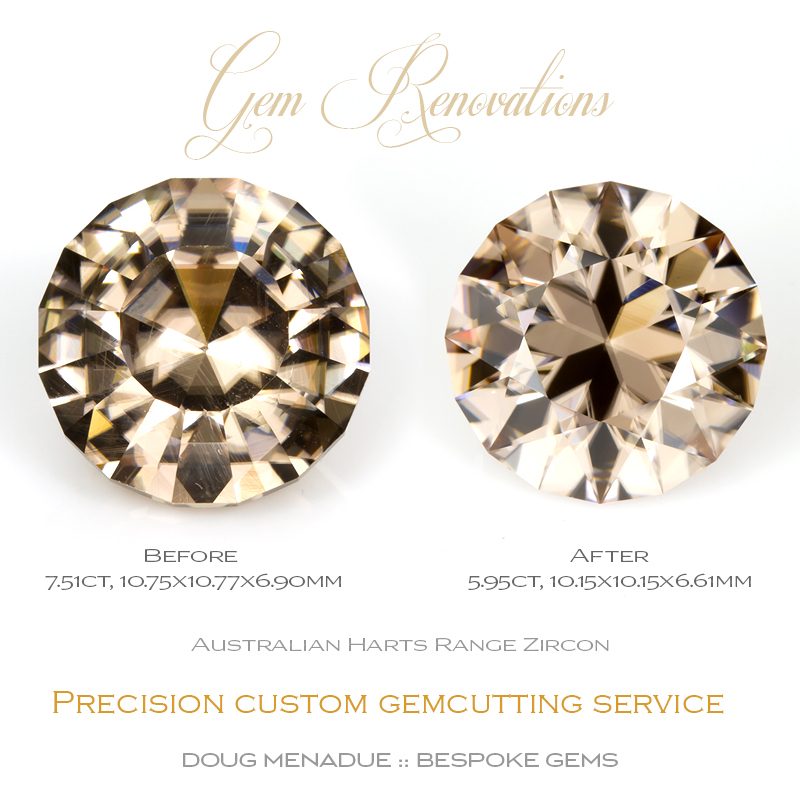 For those that their own rough gemstones I do offer a bespoke gemcutting service. 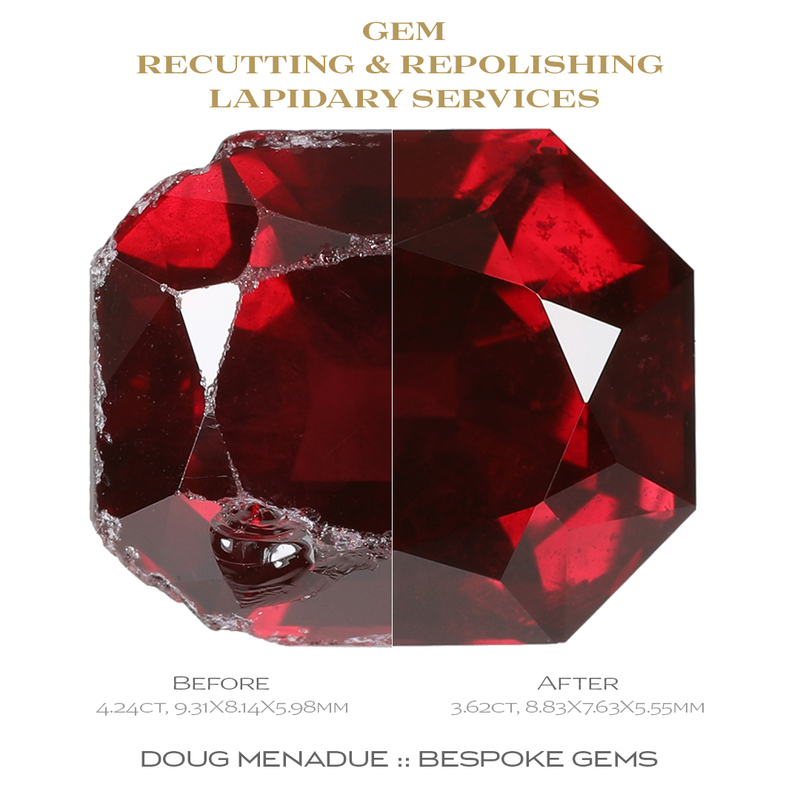 In addition to this I also provide a range of lapidary services including repairs to damaged stones, repolishing old worn gemstones and recutting poorly done commercial and native cut gems. 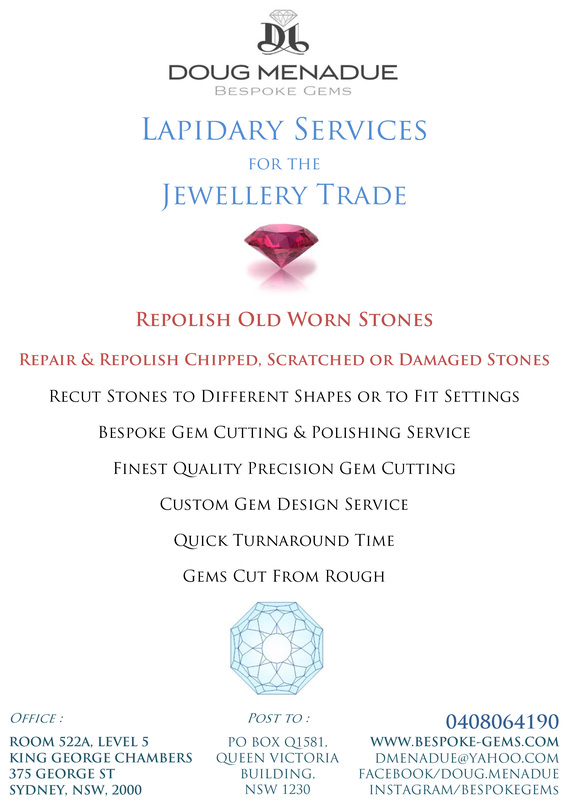 If you would like further information about my lapidary services or the gems on offer please don't hesitate to contact me. 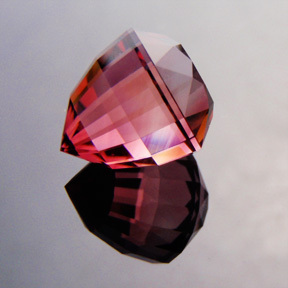 I'm also happy to answer any questions that you might have about gemstones in general. Please note that all pricing is in Australian Dollars (AUD) excluding GST. Enjoy... and discover the art of the gemcutter!